Power is something every captain agonizes over while away from the dock. 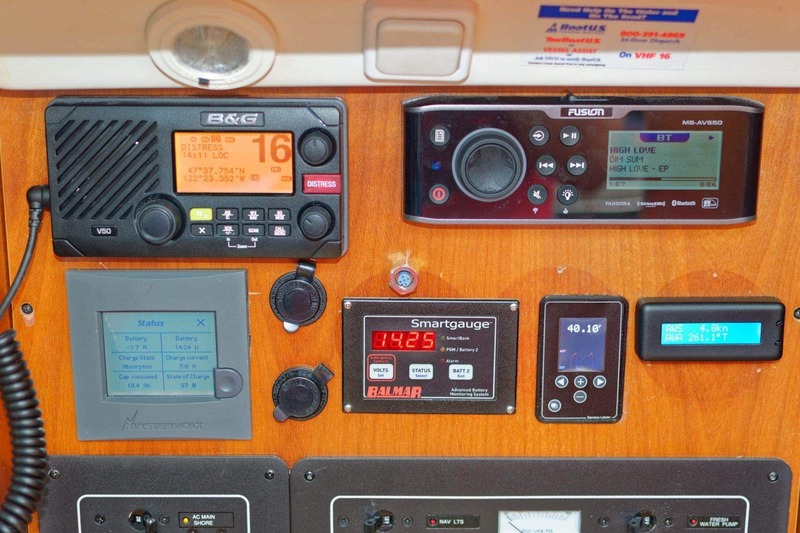 Instruments, lights, refrigerator, autopilot, and everything else take a toll on battery capacity, especially while on anchor overnight. I had been searching for a simple instrument I could leave on all the time which would give me quick glance at NMEA 2000 network data while down below. The Yacht Devices Text Display fits that need almost perfectly, with a few improvements needed. 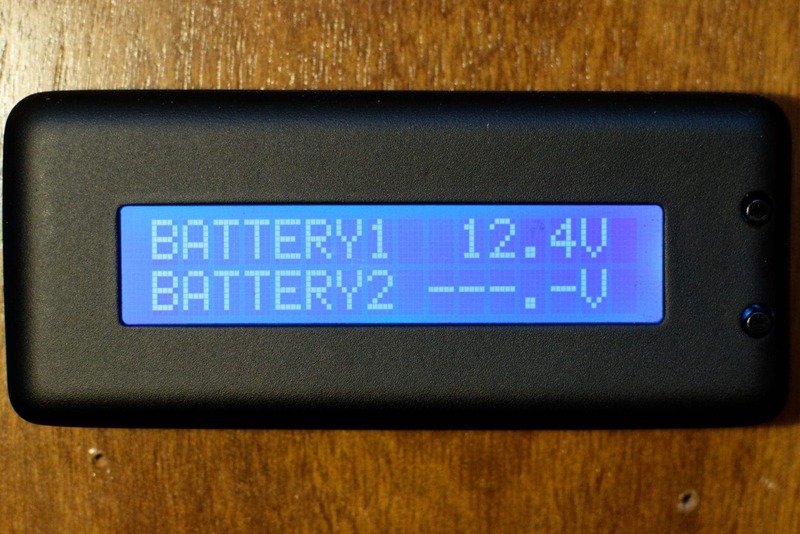 According to the manufacturer, the unit only draws 20mA of power, which is pretty miniscule. 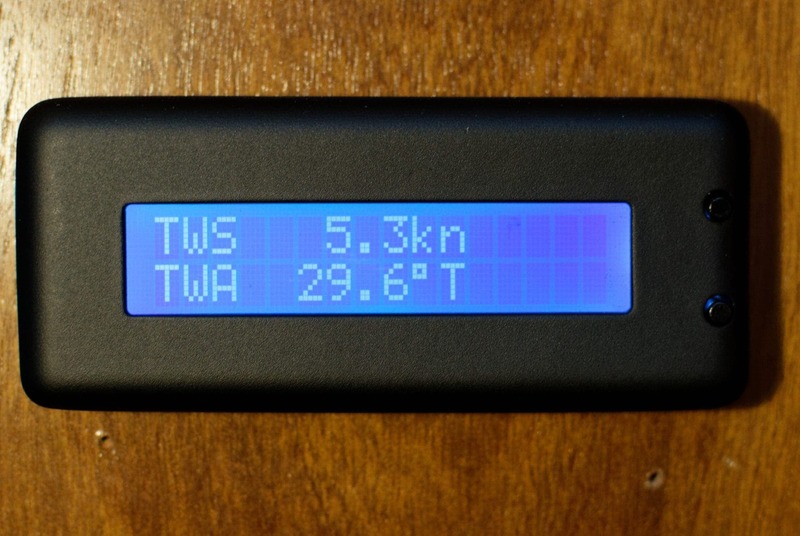 It can show the vessel’s position, course and speed, wind and weather data, water depth, log and trip distance, engine revolutions, batteries voltage, etc. The unit is about 3.5 inches wide and 1.5 inches tall, and sticks out just a bit more than 1/2 an inch. 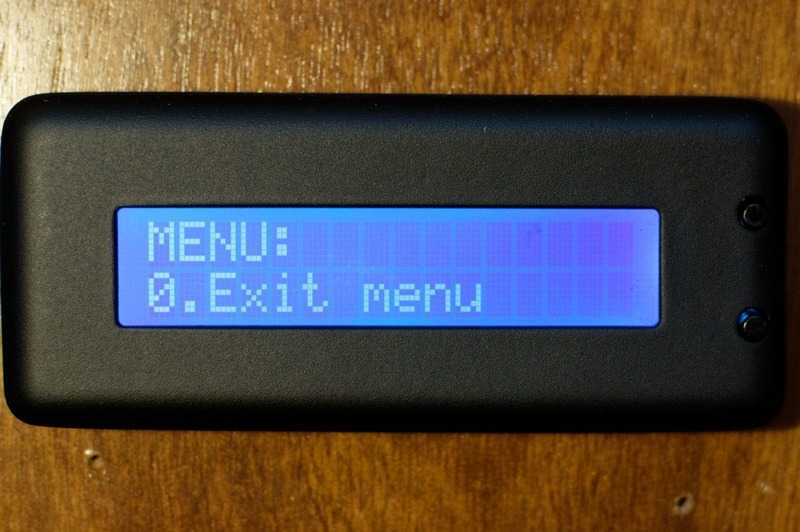 It has a 2-line display, each line having 16 characters, and adjustable brightness. The unit itself is very compact, and came with mounting bolts, template, and users manual. Installation requires 5 holes – one oversize hole for the NMEA 2000 cable, and four for the mounting bolts that screw in from the back. One challenge for some people will be the shipping – both the length and origin. 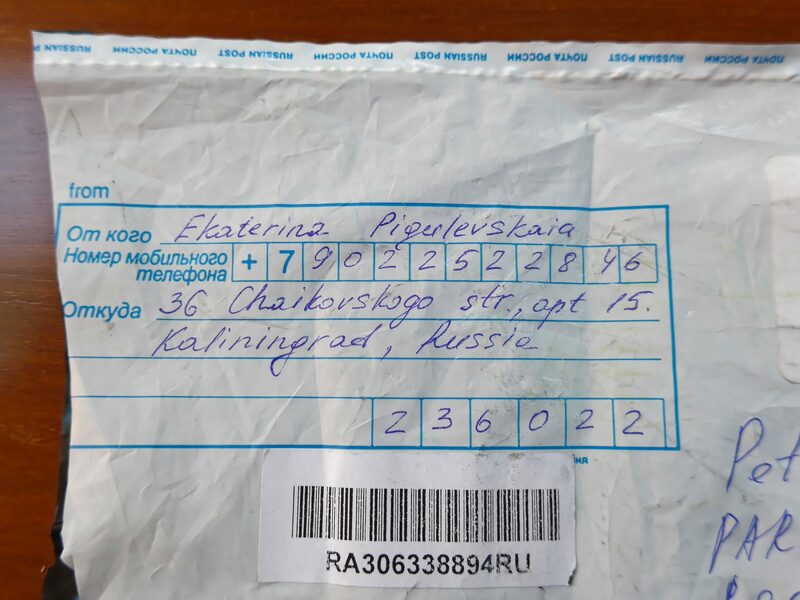 My unit came from Kalingrad, Russia and took 2.5 weeks. In today’s world of Amazon Prime and overnight shipping, that can seem like an eternity. 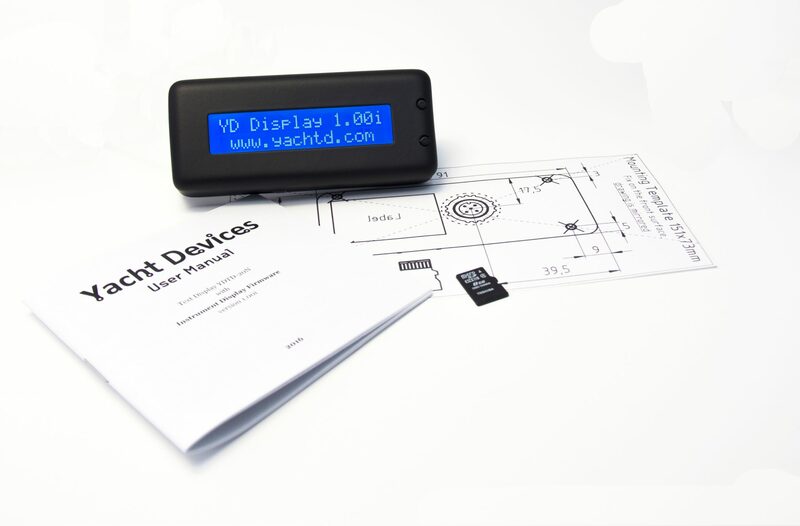 I would hope Yacht Devices looks into more regional warehousing or partnering with other vendors to get their product to more people faster. Once the unit is mounted and connected to your NMEA 2000 network, you’re ready to start configuring. The user interface is pretty straightforward – long clicks and short clicks on the two buttons on the front of the unit are the primary method for changing the screen and entering menus, as well as changing brightness and cycling between different pages of data. Once you’re in settings, you can scroll with the buttons and choose various things to adjust. I came across a bug when I first installed the unit, and could not save my settings. After a quick email to Yacht Devices support, they confirmed within a day or two that it was a new bug, and in a few days more issued a firmware update! Talk about speedy service. Once that was fixed, I was able to set my preferences for depth, speed, temperature, and the like. Besides changing values, you can choose which pages you want to display, which allows you to disable information you’re not interested in scrolling through. Once you’ve completed, a long click will save the values and exit the config menus. The primary use for me is quick access to key bits of data at the nav station down below. In particular, I like the wind and the water pages. I often will be sitting below at a marina or anchorage and will hear the wind whipping through, and am curious how fast it is, direction, etc. The Text Display allows me to glance over and see that real time very quickly. Depth is also something I’m always worried about at anchor, which is easy to see on the Water page. You may notice the rather frigid water temperature – I’ve never figured out where this is coming from, and assume that my older Raymarine ST60+ depth sensor has a poorly calibrated sensor, or that it has something to do with the Seatalk1 to NG conversion. Here is one area that could use some additional configurability. While you can configure which pages show up, you can’t change the data on each page. 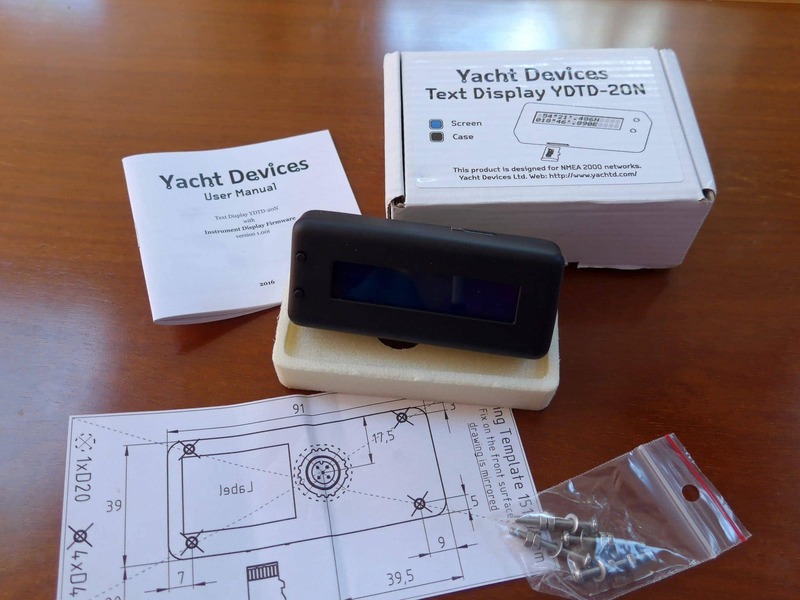 Yacht Devices has chosen fixed data that shows up on each page, like the two battery banks above. I only have one battery bank on the network, so the second bit of data is empty, wastes a whole line of data. 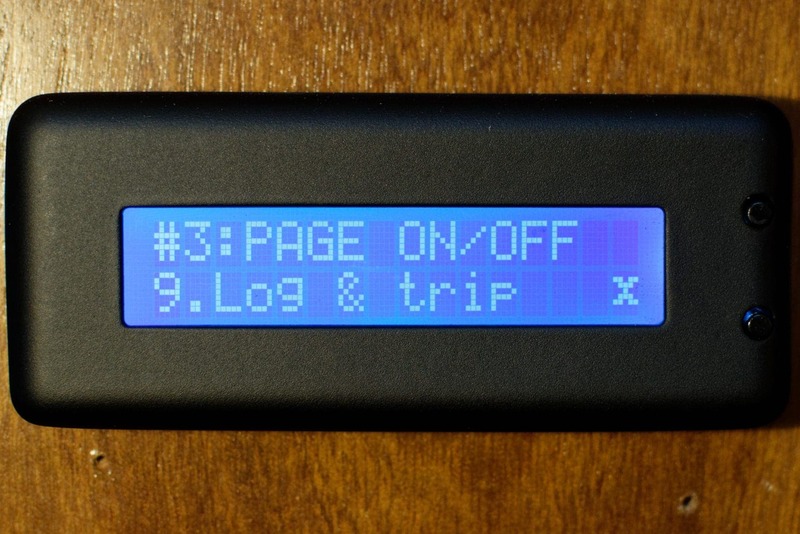 I would also love to see a timed advance for data pages so that they would scroll by. This would allow you to see all of the data you’re monitoring go by instead of having to click on buttons. Yacht Devices mentioned that they were going to be adding additional data pages in the future. I’d like to throw my vote in for tank levels, as this is one of the most difficult types of data to display anywhere. Most gateways like SignalK, Actisense, and Vesper do not translate tank levels, which means right now the only way I can see the level of my fresh water tank is to go outside to the Raymarine eS78 and flip to that page. I’m very happy with the device so far – it provides exactly what I wanted to monitor wind and depth without using much power, and I hope to see additional features and configuration in the future.